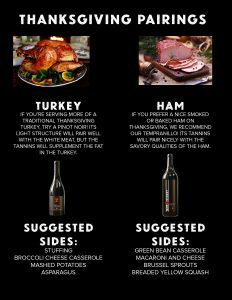 We’ve had a lot of our friends ask us what wine would pair well with their Thanksgiving feast, and we’re here to help! A little wine always pairs well with having relatives in town or making Friendsgiving a fun event! 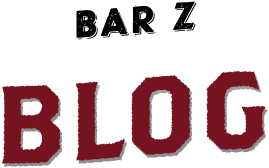 We’re rolling out wine specials on Black Friday, but if you need to come in beforehand to pick up some wine, we’d love to find a wine for this holiday season. We’ve made the menu and wine pairings simple, and we hope you’ll serve something homemade and local for your family and friends. You may look at our pairings and say, “What about dessert?” We’ve got you covered. Our Howling Cow is an excellent bubbly companion to all of your dessert options, whether you’re a pumpkin pie aficionado, or whether you prefer pecan or apple pie. It’s a sweet, bubbly white that will make you forget that you have to do dishes after your feast. At Bar Z Winery, we value family and friends above all else. We hope that wherever and however you’re celebrating, that you can cherish your time with loved ones. Hopefully with a glass of wine in hand. Cheers! !